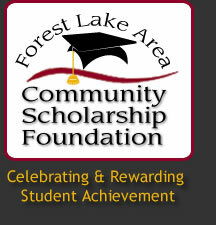 The Forest Lake Area Community Scholarship Foundation was founded in 1973. What began so many years ago as a dream of assisting students with educational expenses has become a tradition of giving. The foundation has granted scholarships to hundreds of students to help them with their educational goals. Last year FLACSF awarded 94 scholarships totaling $145,000 to high school seniors, college students, and other community members passionate about continuing their education. We would not be able to celebrate this remarkable achievement without the generosity of civic-minded businesses, service organizations and individuals like you.